Award winning theatre in Boston. Top Girls was first produced at London’s Royal Court Theater in 1982 and is still relevant for its socio-economic and political topics, and it weighs in on women’s places at work and in society. 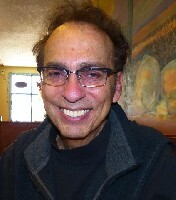 Liesl Tommy directed the play that is considered a Masterpiece. "The Threepenny Opera" needs to be done with color and verve if it is to speak to today's audiences. The BLO's production was all too beige. Director James Darrah soft-pedaled the politics at the heart of the work, which left it a corpse with some not-so-pretty songs attached. Stephen Sondheim Musical Initially Considered a Flop. One of the more obscure of Sondheim's musical, the Huntington Theatre Company's terrific production underscore's its vitality and quality. 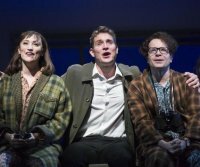 Director Maria Friedman’s stunning London production of Merrily We Roll Along received universal rave reviews – the most five star reviews in West End history as well as the Olivier Award for Best Musical. Now she has recreated it for Boston audiences. Travelling backwards in time over 20 years in the entertainment business, this musical focuses on the relationships of close friends Franklin, Charley, and Mary, and features some of Sondheim’s most memorable songs, including “Good Thing Going,” “Old Friends,” and “Not a Day Goes By." Seeing the show is like an old friend remembered. 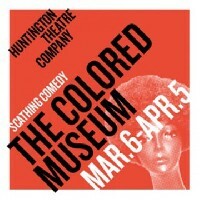 The 36th season will include four plays at the Huntington Avenue Theatre, as well as three plays at the Wimberly Theatre and one special event in the Roberts Studio Theatre, both located in the Calderwood Pavilion at the BCA in the South End. Nora and Torvald Helmer are living their dream, Now happily married with children and financial security, but previously Nora risked her reputation to save her husband’s life. The consequences test the limits of their love. A new translation by Bryony Lavery of Ibsen’s powerful and groundbreaking classic about marriage, money, and equality shows that in the theatre if it aint broke, don't fix it. Trying to be contemporary and relevant takes skill not just daring. When you put 4 couples and 3 bedrooms on one witty night, Alan Ayckbourn creates marital mishegoss with a British accent. Trevor and Susannah, with their marriage on the rocks, invade the bedrooms of their family and friends over the course of an evening, spreading chaos in their wake. 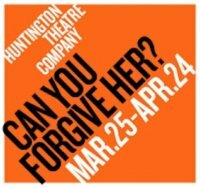 Director Maria Aitken (The 39 Steps, Private Lives) returns to the Huntington Theatre for this light comedy of marital misunderstandings. Squabbling siblings Albert and Jennifer Chen attained academic achievement. But as adults, they’re socially awkward depressed failures: he’s just been passed up for promotion and she’s been dumped by her loser boyfriend. So pivoting to the West and the East, they confront their Tiger parents and launch an Asian Freedom Tour! From California to China and back, this new comedy examines race, parenting, and success. Stephen Sondheim’s stunning masterpiece centers on enigmatic painter Georges Seurat and his obssession with “the art of making art.” Certainly, one of the most acclaimed musicals ever, this Pulitzer Prize winner features a glorious score, with the songs “Finishing the Hat,” “Putting it Together,” and “Move On,” and is directed by Artistic Director Peter DuBois who did a superb job with last year's A Little Night Music. 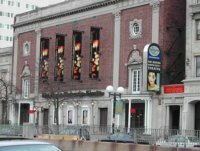 After Boston University decided to sell the building in which the Huntington Theatre Company has had its lovely theatre last Fall, there was a great deal of agita and even grief as to what would become of the Huntington. Would the theatre company have to relocate? Would the large structure be torn down for expensive condos? Could the City of Boston help find a development/real estate partner? Like a Deus Ex Machina, Good News has arrived with a happy ending. On Halloween night, various individuals are weighing their life questions and answers. Sparky Miranda is desperate for a way out of her situation. She’s up to her neck in debt, she might be actually falling for the man who pays her bills, and now her week-end date has threatened to kill her. A seemingly sweet stranger offers shelter and a drink. Where will the night end? With dark humor, two-time Pulitzer finalist Gina Gionfriddo presents complicated and somewhat incomplete characters wrestling with love, money, and their past. This sometimes awkward show is about people making strategically bad life choices and mostly talking about it. Using contemporary themes roughly juxtaposed, the playwright uncomfortably lays out no easy answers. 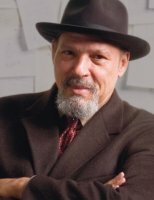 In this wonderful solo show, the late Pulitzer Prize-winning playwright August Wilson shares entertaining and provocative stories about youth-- his first few jobs, a stay in jail, various colorful friends, encounters with racism, music, and love as a young poet in Pittsburgh’s Hill District. Directed by Todd Kreidler and featuring Eugene Lee, both longtime Wilson collaborators, this memoir charts Wilson’s journey of self-discovery through adversity, and what it means to be a black artist in America. This narrative journey, brilliantly performed by Eugene Lee, solidifies Wilson’s theatrical and cultural legacy. Annie and her two teenage best buds want the same things: the hottest new phones, cute boys, designer bags. But when they enter into a pregnancy pact, she wonders if there might be a different path and a brighter future. Huntington Playwriting Fellow Kirsten Greenidge (Luck of the Irish) finds raw humor and grit in this provocative production, torn-from-the-headlines drama. Disgraced is engaging, thought-provoking theatre. The narrative is about difficult situations in a compicated world. . It demands that you pay attention from the opening scene until the play's end. A stellar cast and perceptive direction make this an evening of theatre that you will not soon forget. Adapted from the Pulitzer Prize winning novel by John Kennedy Toole by Jeffrey Hatcher, A Confederacy of Dunces tells the episodic tale of Ignatius Reilly, a snobslob, of the most eccentric kind. Set in New Orleans in the early 1960s, there are many outstanding performances and fine stagecraft. But the novel seems to overwhelm the theatrical production. Worth seeing for the performances, but it is a work in progress. 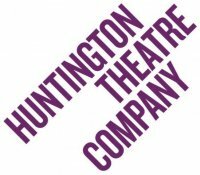 For the past 33 years the partnership between The Huntington Theatre Company and Boston University has provided superb theatre to audiences of up to 200,000. In addition to the Huntington Avenue venue it created the Calderwood Pavilion in 2004 in Boston’s South End. It is the lilting story of lovers reuniting with passions reigniting while new romances flower. Set around famous actress Desiree Armfeldt along with a cadre of unforgettable characters, this is a fabulous production on every level. The action is focused during an eventful weekend in the country. This is Maestro Stephen Sondheim’s most romantic and popular work. It features a sumptuous score infused with humor, warmth flavored by a waltz. Sondheim’s best known song, “Send in the Clowns” integrates exquisitely into the narrative. Brilliantly directed by Artistic Director Peter DuBois, this extraordinary musical already may be one of the best productions of the 2015-16 season. What makes ordinary people do terrible things? Daniel, a young, gay aspiring writer, seeks a fresh start and a new job at the local bookstore that he loved as a child. When he meets Linda, the Filipina-American bookshop owner, they discover a connection that goes deeper than a love of literature. Artistic Director Peter DuBois directs the New England premiere of A. Rey Pamatmat’s at times gripping and intimate new play about changing attitudes, forgiveness and second chances. A play about dreams and desires unmet, it is the story of Doc and Lola Delaney's rather somber middle class life. To make ends meet, they rent a room in their cluttered Midwestern home to Marie, an unapologetic young college student. Her youthful vitality stirs up forgotten dreams and missed opportunities. Directed by David Cromer, this is an intimate and heartrending portrait of a marriage and painful life partnership fading from youthful exuberance to middle age stasis. The acting is superb and the stagecraft is appealing. Greatly and rightly honored George C. Wolfe’s one-act play uses satire and wit to describe the pain, joy and thematic contradictions of the African American Experience. He sets forth 11 "exhibits" or sketches to use humor, wit and song to express the human journey of the American Black experience. Shattering many stereotypes, he brilliantly embraces others. 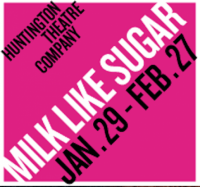 With an incredibly talented cast, this Huntington production is all about anger, love and survival with just enough in your face acknowledgement to make you entertained but clearly instructed. Set in August of 1912 with Eugene O'Neill's classic Long Day's Journey into Night as a backdrop, The Second Girl is set in the downstairs world of the Tyrone family kitchen. Two Irish immigrant servant girls and the American-born chauffeur search for identity love and success in their world beset by circumstances and human mistakes. It is the world premiere by Huntington Playwriting Fellow Ronan Noone and directed by actor/director Campbell Scott.